You can learn a lot about the animals in The Trust Family Foundation Shark and Ray Touch Tank from the educators working in the exhibit. And they usually bring some interesting visual aids along with them, too. 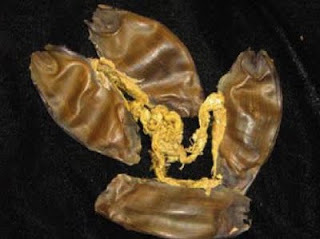 You might see one of them holding what looks like an elongated, dried out dumpling with strings trailing from it. What could it be? 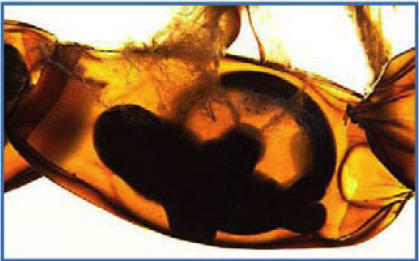 Well, some sharks give birth to live young, but other sharks lay egg cases with embryos inside. The biofact (A biofact is a combination of the words artifact and biology, used to refer to preserved items such as animal bones, skins, molts and eggs.) below on the right is actually an egg case laid by a white spotted bamboo shark. White spotted bamboo sharks are a type of bottom-dwelling shark found in the Pacific Ocean from Madagascar to Indonesia and Japan. 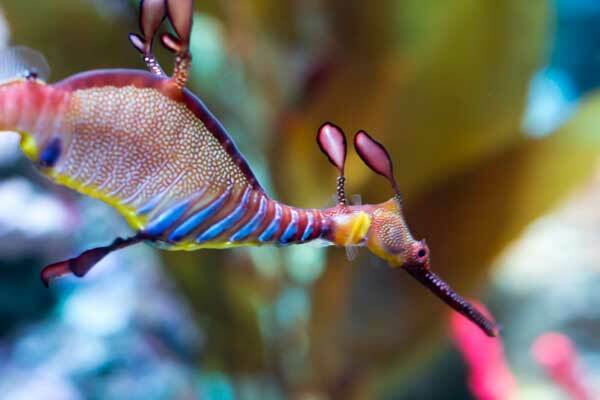 They are a type of oviparous shark, which means they lay eggs that hatch outside of the body. Once the male fertilizes the eggs, the female has the hard task of finding a safe spot to lay them. In many sharks that lay eggs, the embryo takes several months to grow and hatch. By finding a secure hiding spot, the female can increase the embryo's chance of survival. 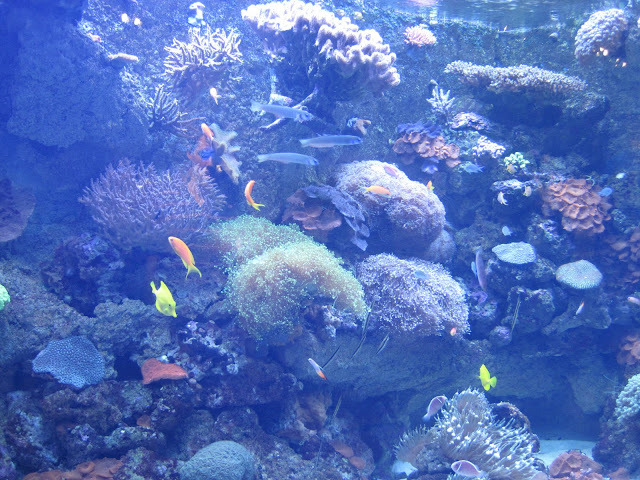 In many places, females will find a spot around coral reefs or among the roots of mangroves. 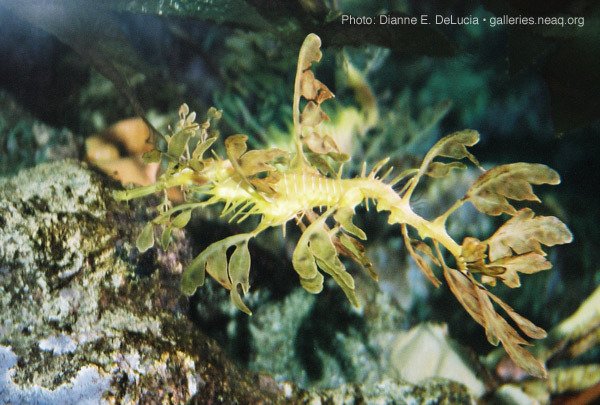 She attaches the eggs by wrapping a sticky tendril around the reef or root to help anchor the case. Baby shark development inside casing. The white spotted bamboo shark, as well as many other shark and fish species, rely on mangroves (learn more about mangroves on the Global Explorers Blog) as nurseries and places to rest. Without them, these animals would have a hard time raising their young. Whitespotted bamboo sharks are listed as Near Threatened. 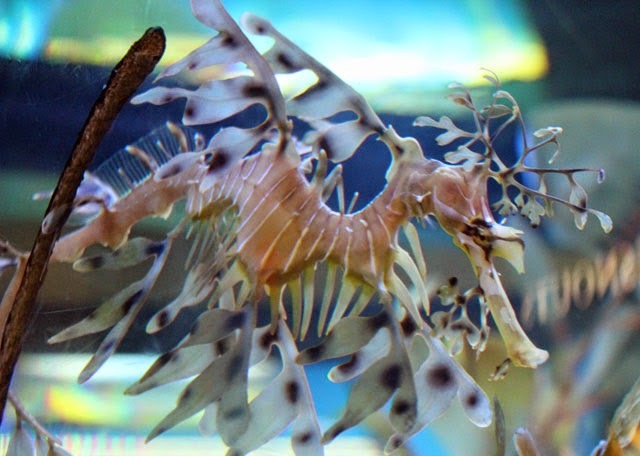 They are hunted in India, Thailand, and China for human consumption and for traditional Asian medicines and they are also threatened by the destruction of mangrove habitat that occurs when coastal areas are developed. If you’ve been by the octopus exhibit in the Northern Waters Gallery on the third level lately, you may think that it’s empty. However, if you look a little closer, you’ll see one of the Aquarium’s newest residents: Octavia, the giant Pacific octopus. Octavia joined us just a couple weeks ago. She hails all the way from British Columbia and we’re pretty sure she’s is just about one year old. As of now she weighs somewhere in the neighborhood of 15 pounds, but she’s growing every day! 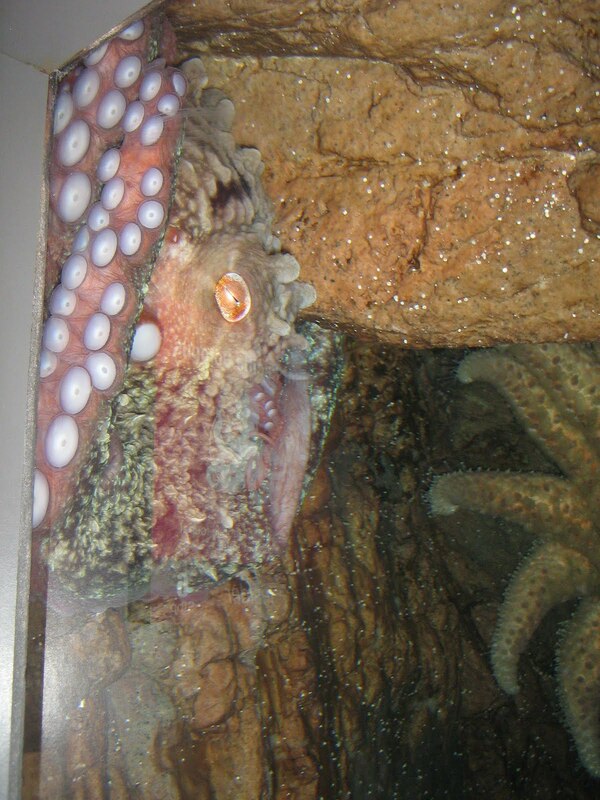 One of the Aquarium's previous octopuses. 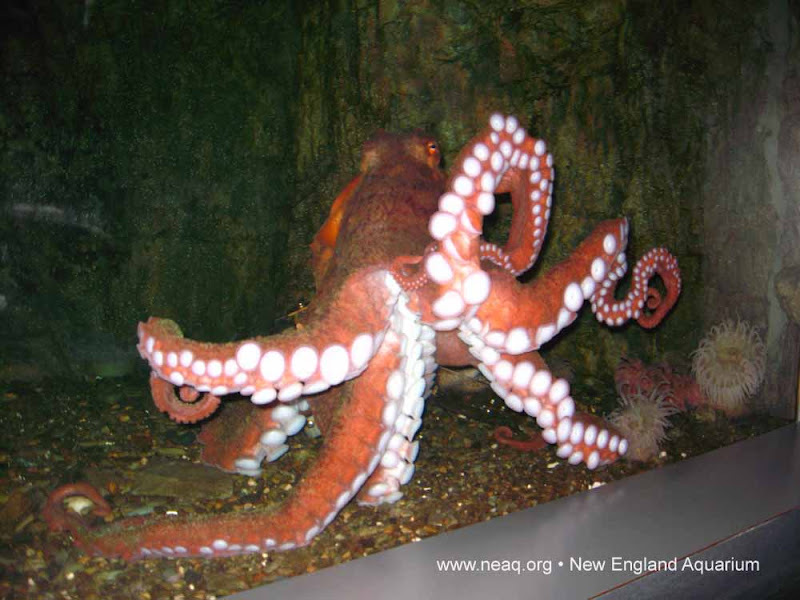 This species can weigh up to 150 pounds. So, stop by and say hi next time you’re on the third level! 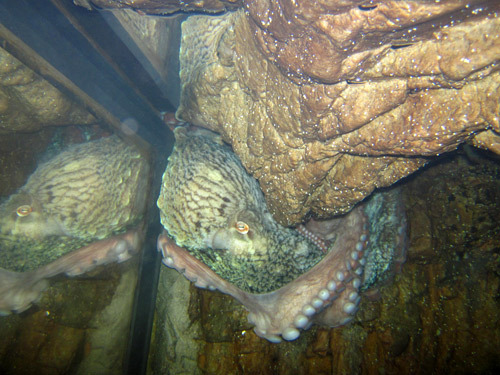 But, remember that octopuses have the ability to change both their color and texture to camouflage in their environment which makes her really good at hiding, so you’ll have to look carefully to see her! Just the biofacts: What kind of teeth do cownose rays have? 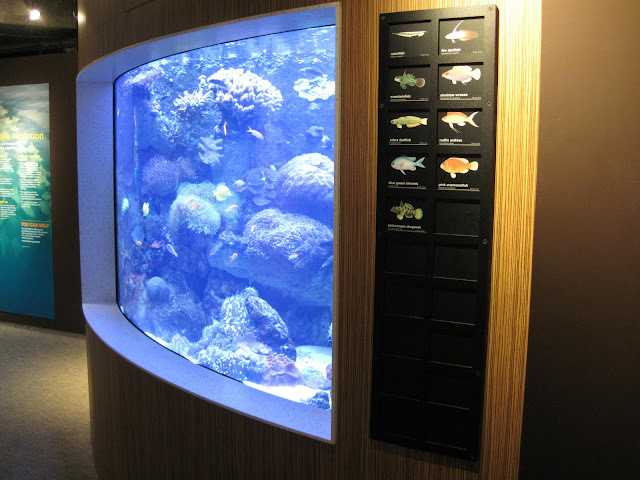 When you visit The Trust Family Foundation Shark and Ray Touch Tank, you're guaranteed to see some live cownose rays and Atlantic rays swimming around the mangrove habitat. But you might also be lucky enough to run into one of our educators carrying a biofact of a shark or a ray. A biofact is an artifact from an animal, like a jaw or a tooth, like this one. This is a cownose ray jaw. 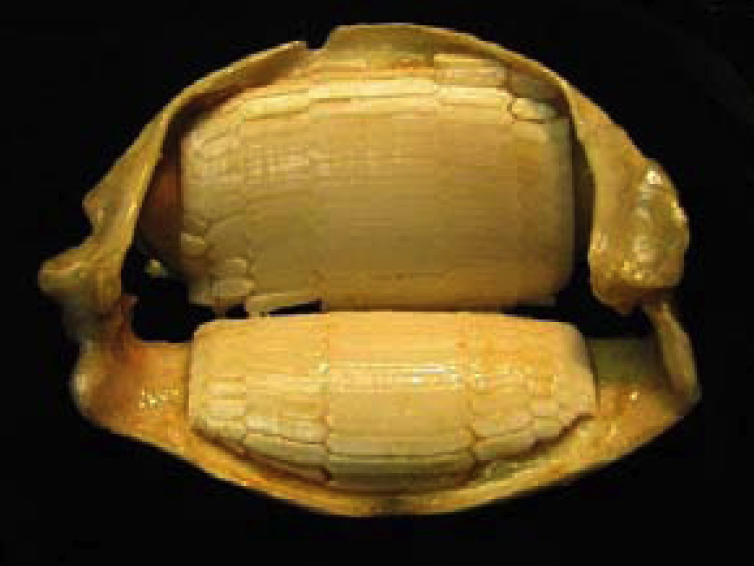 The teeth of the ray are close together and flat, creating a surface for cracking open shells—like a nutcracker. 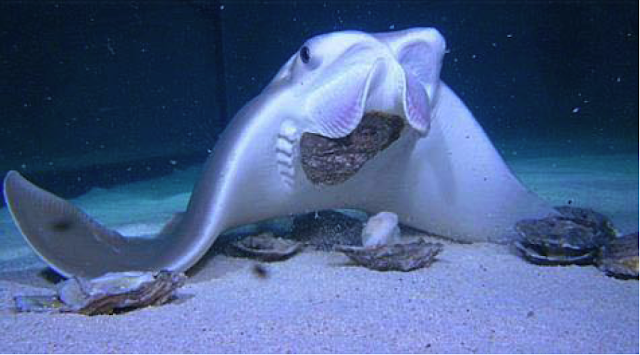 The ray finds food buried in the sand and uses its fins and gills to move the sediment out of the way, creating a depression. Once the food is uncovered, the prey is seized and drawn into the mouth. Shells are crunched into small pieces and the ray gets lunch! The cownose ray is found throughout a large part of the Western Atlantic, from the Chesapeake Bay to Florida and the Gulf of Mexico. 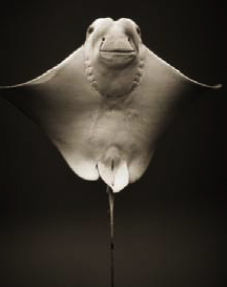 The rays live along inshore waters with sandy or muddy bottoms. 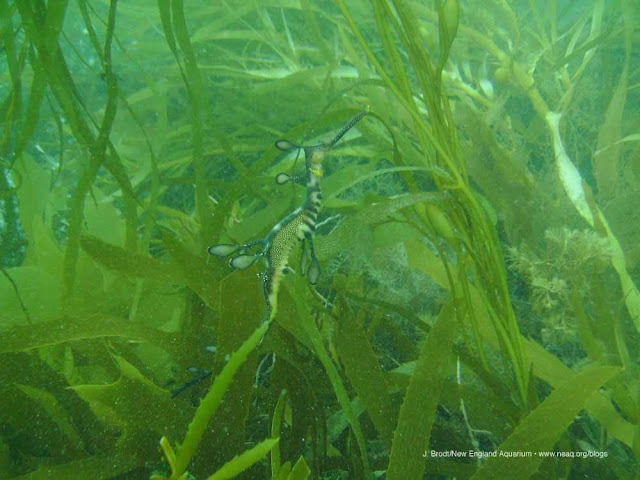 These types of habitats are perfect for finding food including lobsters, clams, oysters and fish. And to help eat these hard-shelled items, the ray has the perfect crushing jaw.